White onyx is different from honey onyx and green onyx. 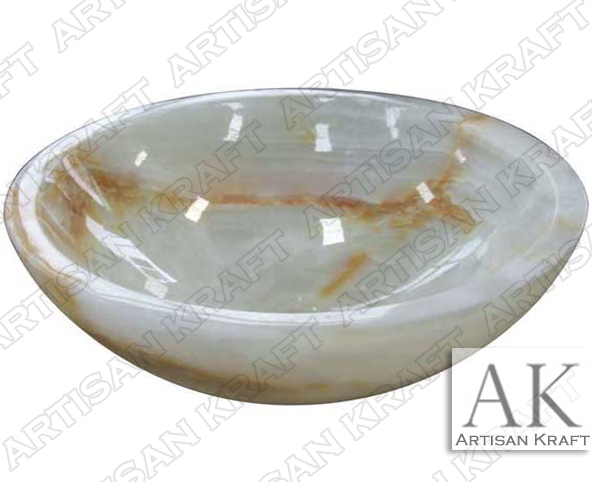 The main color of white onyx is white and it has brown thick veining throughout it. The complex beauty of the polished natural stone adds to the simplicity of the overall design. A great modern look to the white has added flair with the brown. Add this to your modern bathroom design with a slipper bathtub.